First, Thanks Much for all the well wishes for my B-day. As I stated on my Facebook page, It was a really good one and hoping for many many more, good or bad! Because the alternative would not be good, hah! Second, let get started on Day 2 of my 5 Days of Blog Candy special. I have for you a really fun technique, Masking. 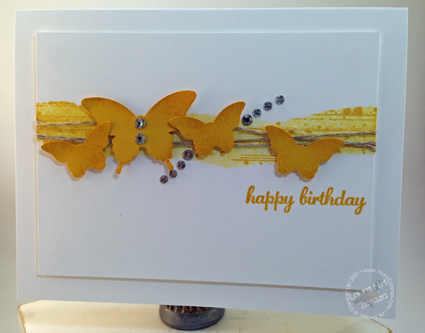 This technique, although not new, this particular card share idea was share by a Fellow Demo Deniela S. from around the world in Germany. So cool. 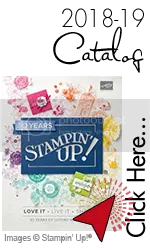 As Stampin' Up!® Demonstrators, We share on our Stampin' Connection, on the Home site. There are over 300,000 ideas. One of the thousands of reasons to become a Demonstrator! Is this not the coolest looking idea! 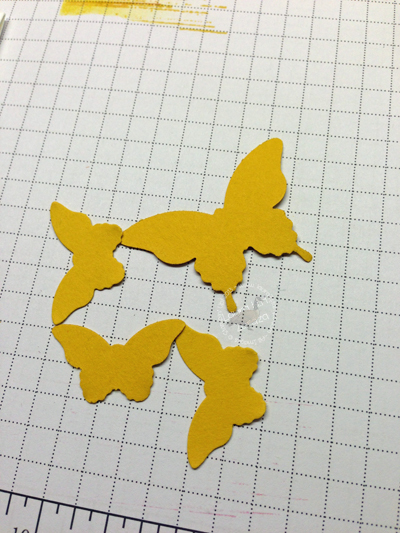 One color-so easy. 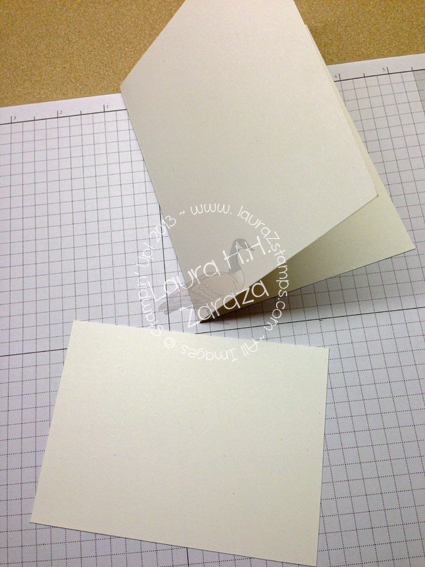 Cut your Whisper White Cardstock in 1/2 at 5 1/2" X 8 1/2 and fold and place off to the side. 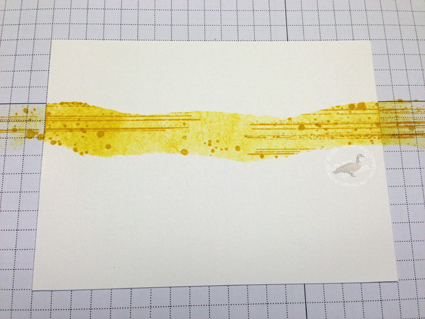 Then, cut a smaller piece of the Whisper White Cardstock at 3 1/2" X 4 3/4". This piece you will work with. 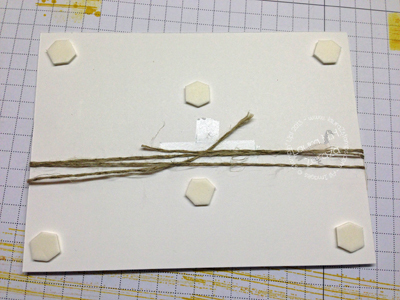 Take a bit of snail adhesive and place a bit on the pack of the smaller white c.s. I then take it to my sweatshirt and add a bit of "FUZZ" to make it not so permanent! Yes-Seriously! 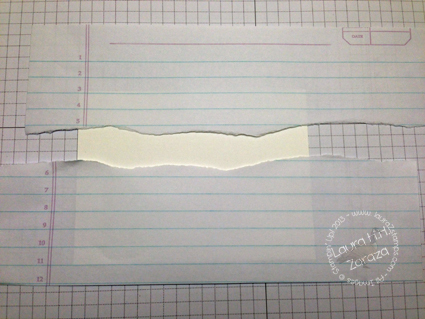 If YOU HAVE NON permanent tape, ignore this and scroll down! 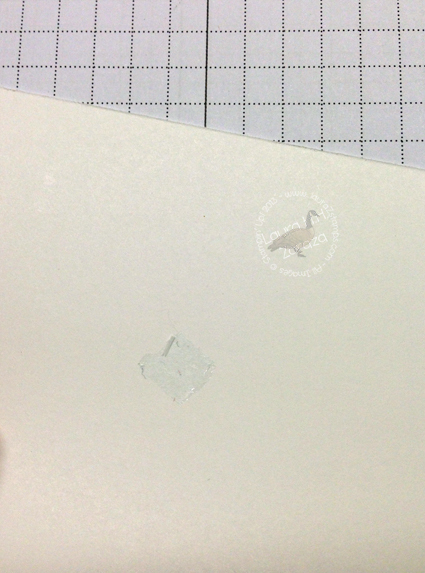 OK-I did NOT learn this trick in Art school but rather through every day stamping. It's not scientific but perhaps an artsy fartsy idea!!! Ok, come back, I will be serious again. Smile! 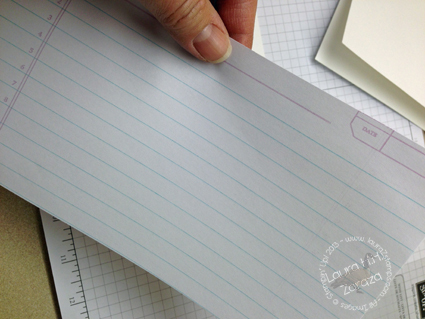 Grab some very thin scrap paper (not cardstock) maybe your kids school paper, copy paper, post it note material,etc. You want a long enough strip, then gently rip down the center. 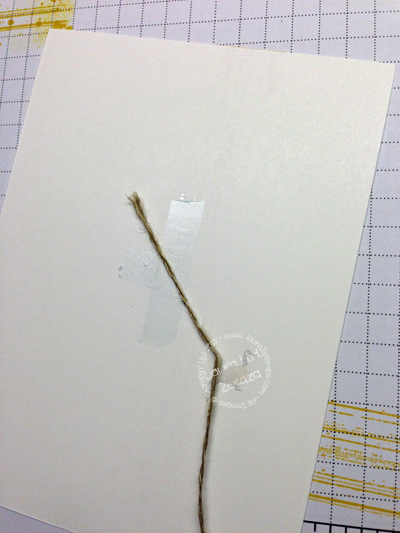 Place a bit of tape on each side of scrap to hold it down. You don't have 6 hands, and tape is just easier! 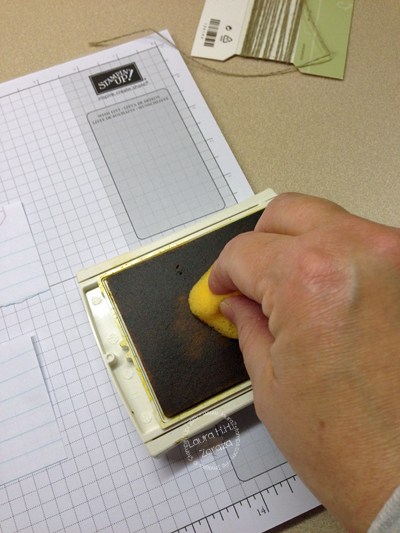 You will ink up a sponge and begin to sponge the area that is exposed and not masked off. 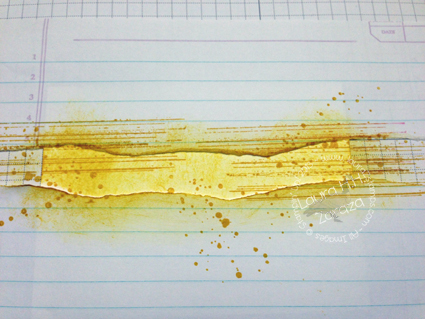 I am using Crushed Curry Ink pad. 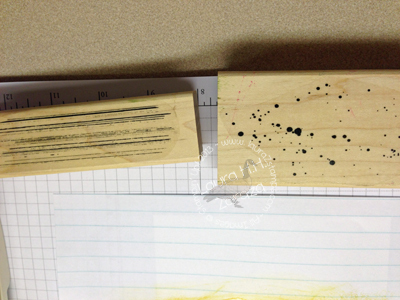 After I sponged I stamped with 2 of the stamps from Gorgeous Grunge stamp set. Really cool stuff here, now lets add more. 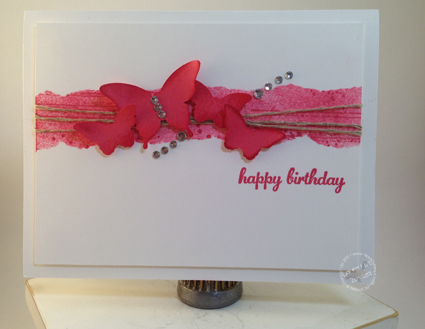 Turn your decorated small piece of cardstock upside down and place a bit more permanent snail adhesive and add a piece of twine. Now wrap at least three times and then place the last bit on the tape. Add dimensionals. 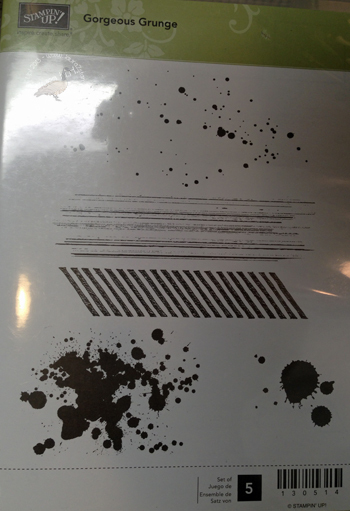 Peel off the stickers to expose tape on dimensionals and place on top of your main card you placed to the side. 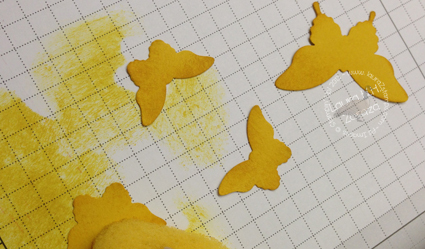 Punch out some Butterflies. You can certainly add more or less on your card. I chose 1 big one and three little ones. Add sponging to give definition. 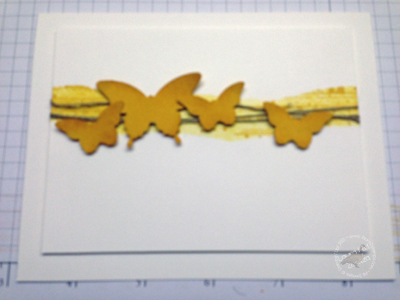 Now add dimensionals to the back of these butterflies and add to your card. As always, it looks amazing in person. Now you go make one! Don't forget to leave a comment. 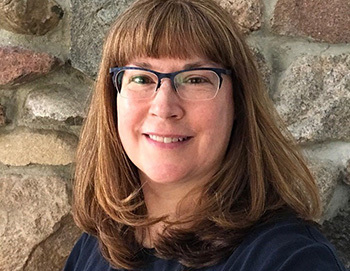 It's Blog Candy time. Visit this post if you missed it. Of course, you still have 12 days left to get in on your Sale-A-Bration orders. If you have not placed one already, why not? Your choice-so awesome. Never shopped with me before? Well, come on. Just click here and shop with me today. 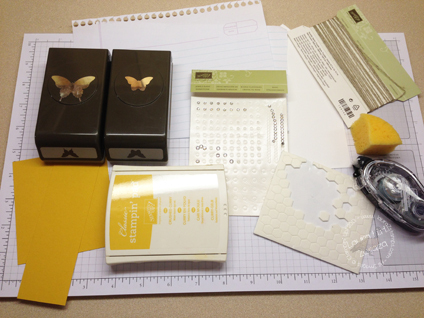 Besides the Free items with Sale-A-Bration-You get a FREE Stamp Class To Go. 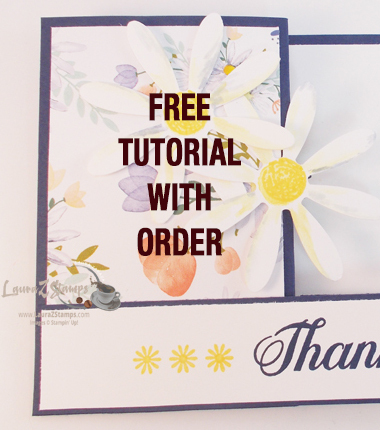 Visit my FREE page at the top of my Website and see this month's class. ENJOY! and thanks for visiting me. What a beautiful card! Thanks for sharing the technique. I can’t wait to try it out myself! Love how this turned out Laura. One of my favorite techniques I turn to a lot. Thanks for sharing the tutorial too. Never would have thought to use Gorgeous Grunge with this technique. Turned out beautifully.